FirmTools ShellExtension version 2.0 was released today. New version allows you to click on the thumbnail preview to open the default program for the picture file. In addition convert to gif bug and the bug with long file extensions crash were fixed. Download the new version here. We have several freeware tools available for download. They will not only help you in the everyday image tasks (like ShellExtension), but they will provide you some entertainment (Hexis game). All of the tools listed below are FREE to download and use. Enjoy! As far as we develop our products for digital camera users we know that you can have tons of images scattered on your computer. FirmTools ShellExtension is our FREE utility that we grant you as the BONUS to help you with the image manipulation. This tool adds three new options to your right-click menu on a picture file: convert, print, and thumbnail preview. Converting supports most of the formats you will ever need: GIF, JPEG, BMP, PNG, and more. The thumbnail option is particularly handy when you are in a file open dialog. 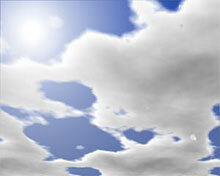 Amazingly realistic screensaver displays clouds moving in the sky. You will be captivated with its dynamic representation. You can adjust weather conditions i.e. cloudiness in the sky, wind direction, speed of weather changes. 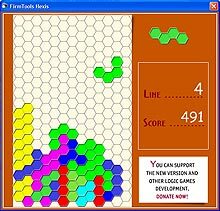 Free hexagonal Tetris-like with Flash interface. Hexagonal cells makes this game more addictive and hard, but it is supposed to be hard.